Sometimes it takes a village to create…many outcomes. What does your village look like?. We all want to live independently and be self-reliant, and fortunately, most of us can forever. But even for the healthiest of us, the strong in mind and body, the determined, the driven and the in-between, we all rely on those around us. 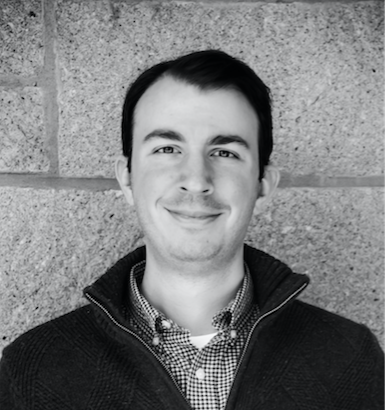 The extent varies depending on the project or task and our abilities. If you examined most of what you do in a day you may be surprised to think about how much you achieve or how your life is enhanced with assistance from others without you being really conscious of it. These partnerships and dependencies can be paid or unpaid and help us all to function as happily and productively as we can. The rewards are equally significant for giver and receiver alike. Take the working parent of school-aged children needing a neighbour to drop little Aloysius off as Mum and Dad need to start early. The primary bread winner who relies heavily on his or her partner to organise their outside social life and day to day needs. The high-achieving sportsperson who needed a parent to get them up and to training at ungodly hours as they grew up and who still relies on a small army to ensure that training schedules, well-balanced energy input and fitness regimes are adhered too. The person who could not imagine getting through a patch of emotional turmoil without the sounding board of close friends. The co worker offering to get your lunch when a deadline is due. The sharing of great, easy recipes for weeknights or a special function. And who ever had a baby and wished they didn’t have the help of a Mum, Dad, sibling or friend when it comes to managing that momentous little life disruption? One of my hobbies over the years has been sewing in various forms: quilts, bags, zip purses and more. While I am certainly no award-winning seamstress, I enjoy the colours and patterns and feel of fabrics and have fun learning different techniques and styles. This hobby has become more important to me as my family have grown into adults and I have had to reduce my work hours, been forced to work from home and have had to accept that most daily activities, like shopping and cooking, are now done by others (primarily Gaz at this stage). 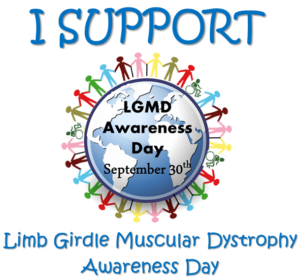 As is the case with most parts of my life now, Limb Girdle Muscular Dystrophy (LGMD) has more recently felt the need to make my hobby all about it. Consequently the activity that I used to be able to quietly and autonomously enjoy now requires a more collaborative effort. And while the “quilting sisterhood” is one of sharing I needed a little more over and above the “norm”. I’d like to share the story of my latest completed project. Let’s call it “The Sister’s Quilt”, mainly because that is what it is. Creative wording genius, I know. Projects such as quilts, as many of you might know, do take quite a while to complete and this was no exception. I had it ready just shy of 12 months after the birthday it was intended for. It may seem that due to playing with this dystrophy hand I have been dealt I now outsource every sewing activity but believe me, I still had a bit to do with this quilt’s creation. I am so humbled by the willingness of my family and friends to help me achieve this and other goals and I hope I have, and will be able to continue, to reciprocate such generosity of action and spirit . My extended village might need to be called upon more often and need to be larger than some but I have one and I love that. How does your village impact on your life and how does your part in that community help others..it’s an interesting reflection ?